Chef Mel is ready to come to your home to guide you, you and your significant other for date night or a group of friends, through a fun day of cooking right in your very own kitchen. Classes are tailored to your own desire, so the sky is the limit! The class includes pre-planning the individual lesson with you and printed recipes. In addition to the lesson, Chef Mel will set up prior to the class and clean-up afterward. Cooking family-friendly meals can be daunting as we all eat so differently these days. Allergies and tastes can confound even a seasoned home cook. 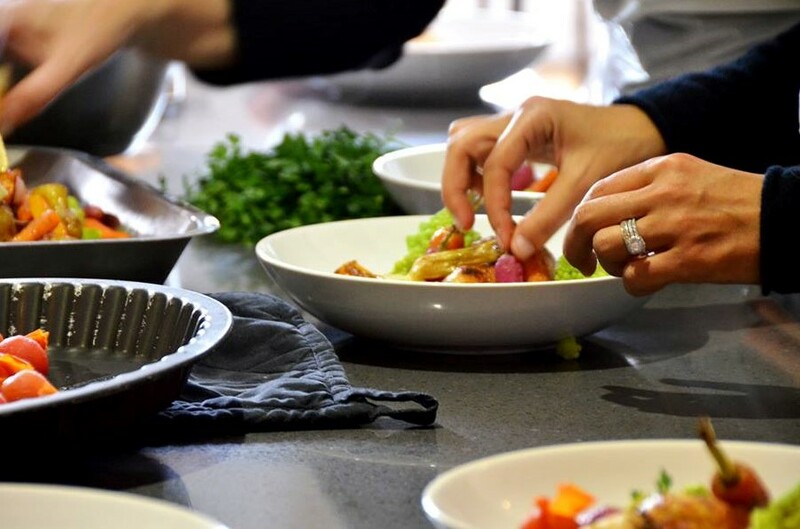 These classes will give your nanny or housekeeper confidence in the kitchen so that he/she can cook nutritious, delicious meals for the whole family. We will cover basic food safety, basic prep skills and basic cooking techniques that they can use every day in cooking healthy meals in a short amount of time. *Above class costs do not include food expenses. Once the class has been planned, Chef Mel will provide you with a shopping/pantry list for all the ingredients and kitchen tools. Copyright 2017 GourMel Products, Inc. All rights reserved.